Un Je Ne Sais Quois, Dupont Circle’s sweetest little shop, originally gained notoriety for making a melt-in-your-mouth merveilleux. Since then, this humble patisserie on Connecticut Avenue has also started baking French pastries, chocolates, and more for patrons every day but Sunday. 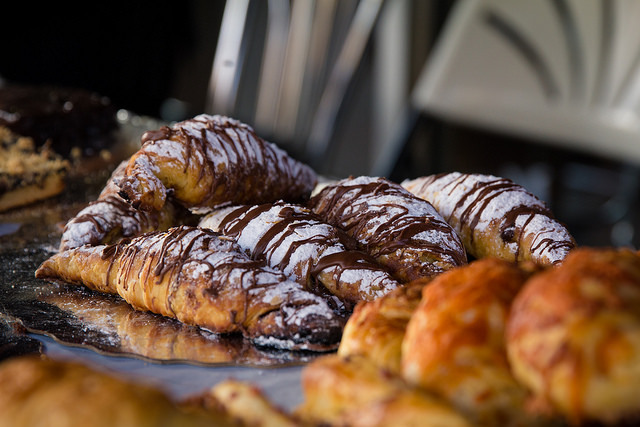 Un Je Ne Sais Quois provides an authentic French bakery experience, from the staff who speak the language to the way they mix up real butter, cream, and sugar for their high-quality confections. Merengues here are sweet, fluffy, and naturally flavored, with a crackly exterior and gooey middle, and most locals say the line is always worth the wait if their fabulous merveilleuses are in stock. Un Je Ne Sais Quois also bakes light and fluffy brioche buns to complement the sweet treats, and whips up a signature purple pastry that shares the bake shop’s name. Order a bold-roasted espresso to pair with a flaky, creamy, butter-brushed pastry here between 7:30 a.m. and 7 p.m. Monday through Saturday.